An “I Voted” sticker on Ogdensburg, N.Y. resident Yvonne Griffith’s jacket on Nov. 8, 2016. Staff photo. 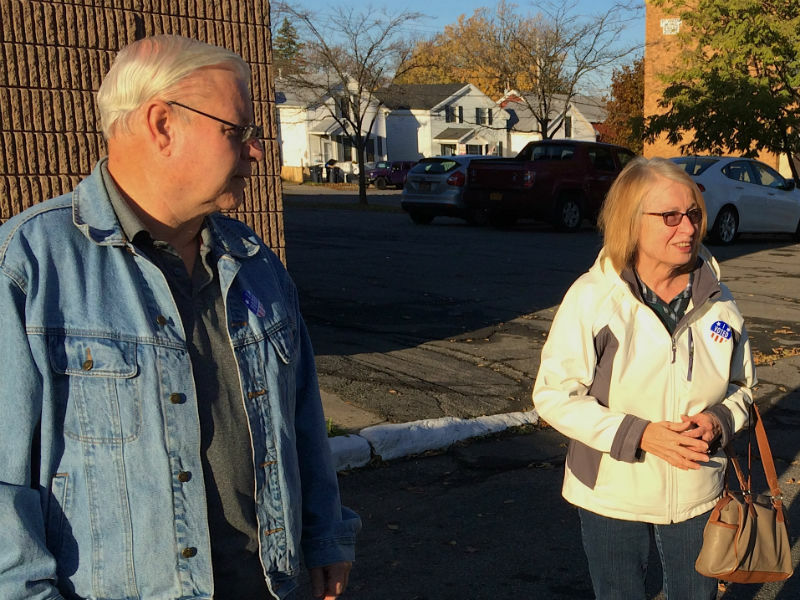 OGDENSBURG, N.Y. — With Democratic presidential candidate Hillary Clinton expected by most national polls to win Tuesday’s presidential election, concerns that Donald Trump or his supporters may not accept the election result are fresh in the minds of voters. “We just hope there’s no backlash,” said Yvonne Griffith, a resident of Ogdensburg, outside a polling station on Ford St. after she voted in the morning with her husband. Ogdensburg resident Yvonne Griffith, with her husband Richard, outside a polling station on Nov. 8, 2016. Staff photo. 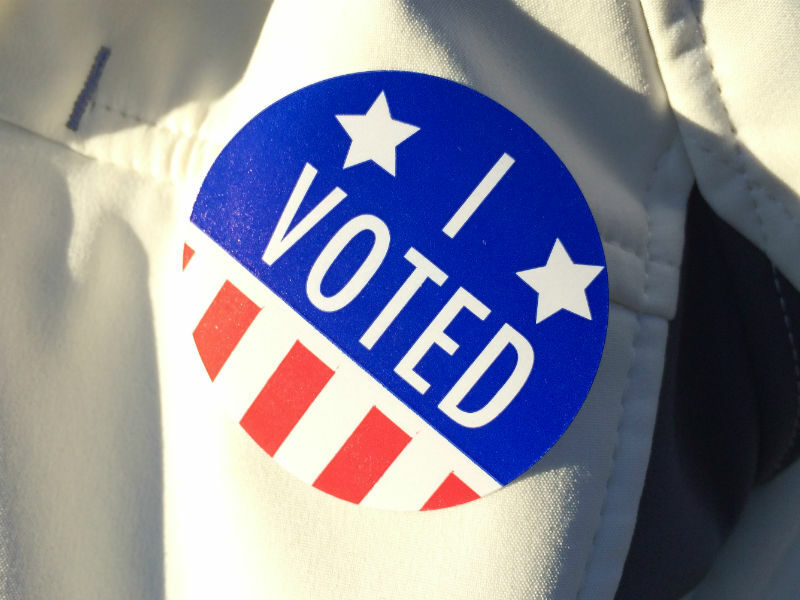 Wearing an “I VOTED” sticker, Griffith said she is happy the election is finally ending, adding that it has been a long campaign with negativity on both sides. “We hope that everyone accepts the results, and that there aren’t any problems,” said Richard Griffith, her husband. Trump has said he may not accept election results if he loses, hinting that he feels the election has been rigged against him. Trump has asked voters to watch for instances of voter fraud at polling stations. A Republican election official said things have been going smoothly at the Ford St. polling station, with no signs of violence. “They’re playing nice,” said Bob Long, a retired counsellor and a registered Republican, of the voters coming there. But Long said he’s not ruling out the potential for violence after the results come in.